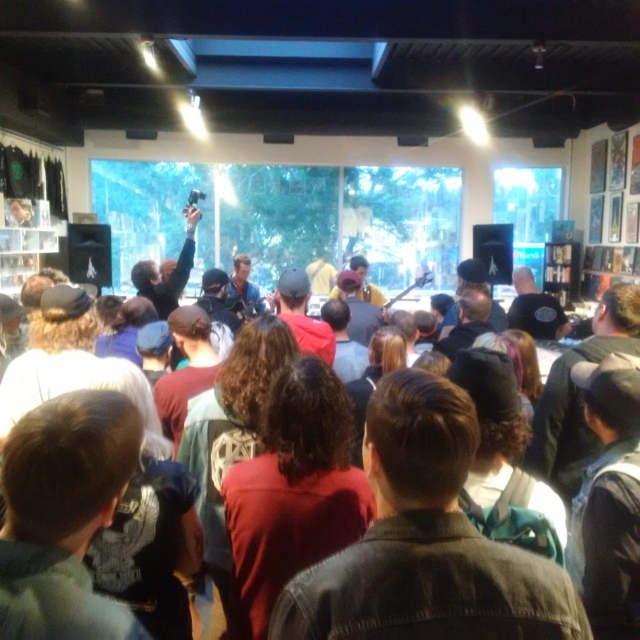 Sled Island 2017 Live-in-Store Shows at Sloth! Join us for our annual Sled Island live-in-store performances on June 22nd and 23rd in the afternoon. Shows are free and occur between 1pm-5pm sharp each day. This entry was posted in Uncategorized on June 19, 2017 by Sloth Records. Join us on Thursday, June 15th from 5-7 pm for an advance preview of the brand new RIDE album “Weather Diaries”. You will be able to pick up the record a day early (on CD or LP formats), as well as check out the record in its entirety. We’ll also have a bunch of Ride-related freebies for those who stop by! This entry was posted in Uncategorized on June 12, 2017 by Sloth Records.